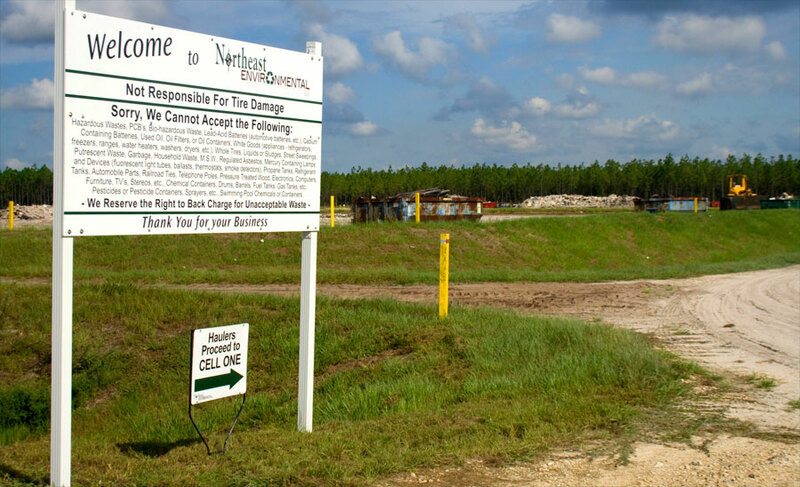 Northeast Environmental, LLC is North Florida's newest, fully permitted construction and demolition landfill. 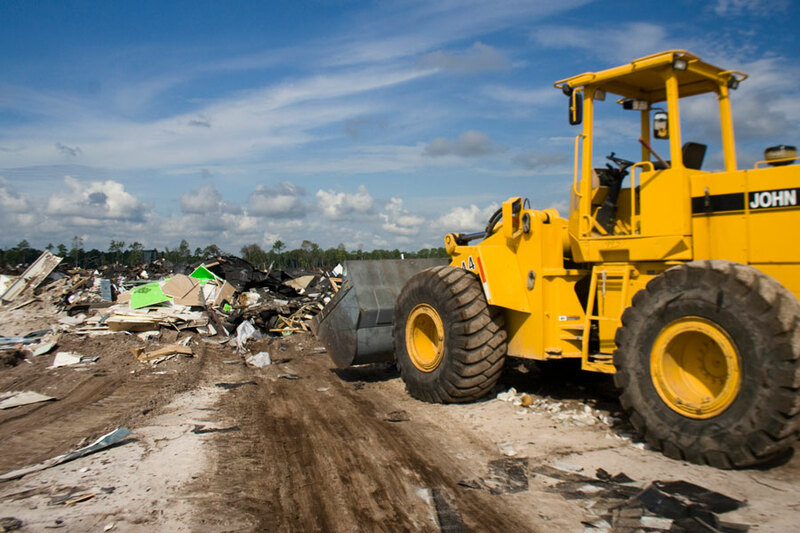 Centrally located on more than 85 acres off of Highway 17 just north of Palatka, Fla., Northeast Environmental is here to cover all of your construction and demolition needs in a quick and efficient manner—while also saving you money! Our staff has ten years of experience in the landfill business providing our customers with the top notch service that they deserve. 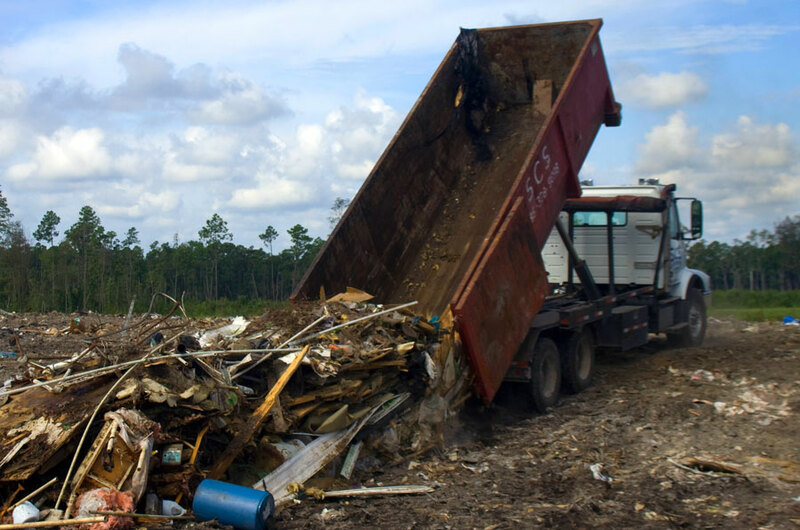 Instead of charging you by the ton, like most construction and demolition landfills, Northeast Environmental bases its service costs on a flat yardage fee. That saves you extra hassle and extra dough—in these tough economic times that's important. At Northeast Environmental, our goal is to get you in and out of our facility in a quick and efficient manner. Our gravel roads are graded to provide easy access to trucks of all shapes and sizes, while also protecting your vehicle from excess wear and tear. Once you get in, you can quickly unload your construction and demolition debris and get back out on the road as soon as possible. From South Georgia to Central Florida, Northeast Environmental has a great location for easy access from any project site. Our facilities are just 15 miles south of Green Cove Springs, which makes for a short drive from Jacksonville, St. Augustine, Gainesville, Palatka, Palm Coast and all other surrounding areas. As part of our licensing with the Department of Environmental Protection, we make sure that our construction and demolition landfill is always operating as safely as possible. We have several test wells on site to ensure that our water runoff is pollutant free and we recycle as much of our materials as possible.